Conair clippers bring styling right into your own home, no more trips to the salon or barber. Instead, you can cut your hair any time you'd like and any way you'd like. Although the attachments that are included with the Conair clipper do help simplify home hair cutting, a little knowledge about how to use those attachments will help you achieve the look you'd like. Your first step in using a Conair clipper is a trip through the instruction booklet for the device. There are a number of warnings to keep in mind, including not using the device with any broken combs or attachments, not setting the device down while it is on and not operating the device when the air vents on the clipper are blocked. You'll also want to make sure you're not near water and that the clipper is plugged into a grounded outlet. Once you know the safety precautions necessary for the use of the clipper, you can get down to the business of learning how to use the clipper to achieve the effects you'd like. 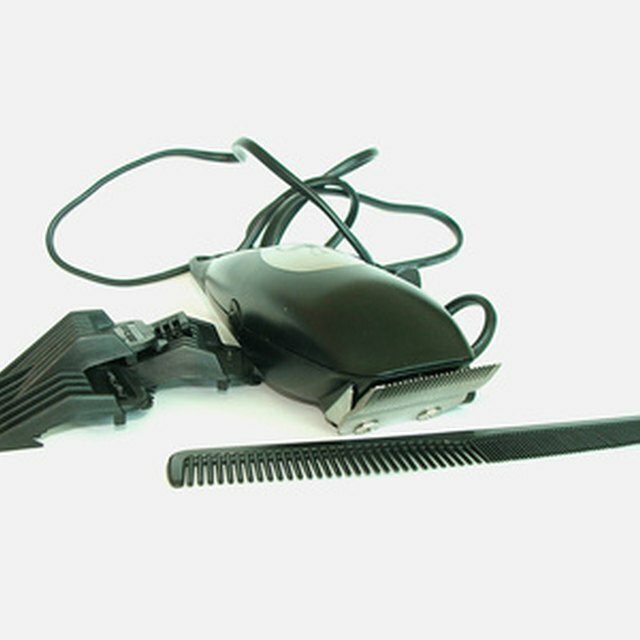 Conair clippers come with a variety of attachments, though the particular model of the clipper may determine exactly which attachments are provided. Some of the possible attachments include combs made to cut hair at 1/8” (number 1), 1/4” (number 2), 3/8” (number 3), 1/2” (number 4), 5/8” (number 5), 3/4” (number 6), 7/8” (number 7), and 1” (number 8). You may also have tapered combs, one for the left side and one for the right, used to taper the sides around the ears. There are a number of different kinds of cuts that can be done with clippers. The flat top haircut is flat across the top of the skull and then becomes progressively shorter down the sides and the back. Although the actual length of the hair can vary greatly– some people prefer flat tops that take the hair nearly to the scalp, while others leave the top at 1/2” or longer–the means of achieving the look remain consistent. Cut the top of the hair from the crown forward to create a horizontal plane. The back and the sides are then tapered to 1/8” or 1/4”. To taper the hair you'll need to gradually decrease the length of the comb. The collegiate cut is similar to the flat top in that the sides and back are tapered, but the top in the collegiate becomes progressively longer as you move from the crown to the front of the skull. The end result is a a cut that, when long enough, will lay down a bit in the front and stand up across the top and down the sides and back. Lastly, the Caesar cut is the simplest of all. The hair is all one uniform length, and thus the only decision to be made is exactly what length you'd prefer. Whatever length you choose, you'll attach the appropriate comb and go over the entirety of the head. Once you've completed the haircut, you can remove all attachments and clean up the side burns and the back of the neck with the bare clipper edge.